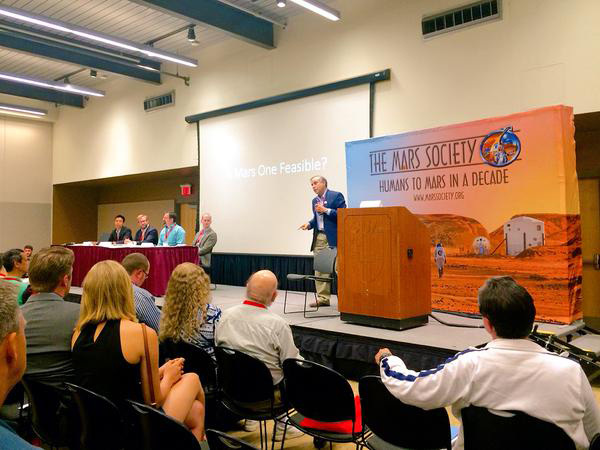 The Mars Society invites presentations for the 20th Annual International Mars Society Convention, scheduled for September 7-10, 2017 at the University of California Irvine. Subjects for discussion can involve all matters associated with Mars exploration and establishing a permanent human presence on the Red Planet, including science, technology, engineering, politics, economics, public outreach, government affairs, etc. Abstracts of no more than 300 words should be sent by June 30th to: The Mars Society, 11111 W. 8th Avenue, unit A, Lakewood, CO 80215 or via email to: abstracts@marssociety.org. Email submissions are preferred. For more details, including online registration for the convention, please visit the Mars Society web site at: www.marssociety.org.